2 Beds 1 Bath 960 Sq. ft. Description: Attention investors! Perfect rehab house for profits. Needs new floor coverings, new roof and new interior paint. 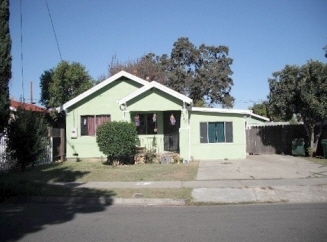 Nice 2 bedroom with den and 1-car detached garage in east stockton. All cash only...Must be sold in as is condition.